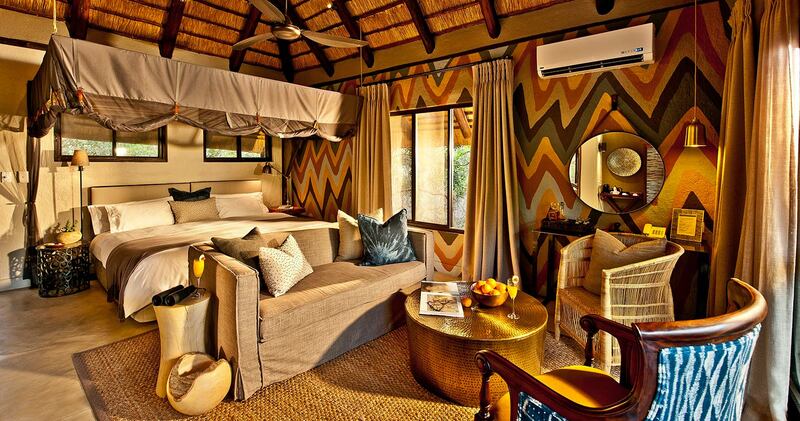 A luxurious and intimate safari lodge, Sabi Sabi Little Bush Camp is located in the south-western corner of the Sabi Sand Private Reserve sharing unfenced borders with the Kruger National Park. This five star safari lodge nestles under the shade of indigenous riverine trees on the banks of the Msuthlu River overlooking the riverbed. Accommodation at Sabi Sabi Little Bush Camp is offered in six free-standing thatched luxury suites making this lodge a super option for families, friends or small groups looking for exclusivity. With contemporary African design at the core, each suite includes luxury furnishings, a full en-suite bathroom with an indoor and outdoor shower, romantically draped mosquito nets over large beds, air-conditioning, fans, minibar, tea and coffee facilities and a private viewing deck with a heated spa bath overlooking the riverbed. The double volume thatched central area includes a comfortable lounge with a fireplace, dining area, full bar, deck, swimming pool with sun loungers, boma for starlit bush dinners and WiFi. Morning and afternoon game drives and mid-morning environmental awareness walks are offered at Sabi Sabi Little Bush Camp. 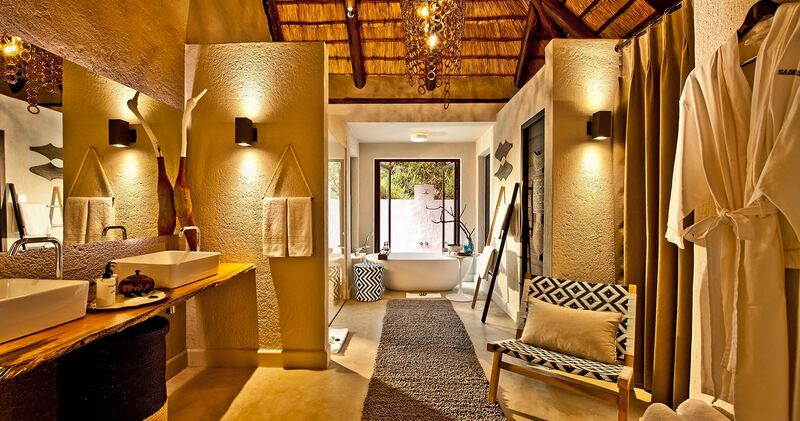 Guests also have access to the Amani Spa at Bush Lodge or Earth Lodge. Book your Sabi Sand safari at Sabi Sabi Little Bush Camp and travel to and from the reserve hassle free! When staying for three nights we may offer Skukuza Airlink flights almost free of charge. The package includes return flights from Johannesburg to Skukuza Airport (SZK). The return package costs ZAR 46,353 per person sharing (valid between 11 January 2019 and 19 December 2019). Of all our stops in South Africa, our time at the Little Bush Camp was the most enjoyable - because of the ambience and the people. The food and drink were fantastic. The bungalows were private and luxurious - down comforters, huge bathroom with shower and tub, private jacuzzi, bathrobes, stocked fridge. But it was the staff who made our trip unforgettable - they were accommodating to a fault - anything we wanted. They offered their own private time for added walking expeditions, transportation between camps for shopping, transport to the airport. The safari guides (Rich and Cameron) and scouts were fantastic - knowledgable, personable, enthused and engaged. We saw the Big 5 and just about every other animal imaginable. Their love of Africa transferred to us. We felt like family and were extremely sad when we had to leave. Sabi Sabi Little Bush Camp was incredible in all aspects. Staff were amazing, food was incredible (I don't think I stopped eating for the entire duration of my stay), rooms and location were stunning. The game drives themselves were the highlight of my trip to South Africa - we saw leopard cubs, a leopard with a kill up a tree, lions feasting on a kill, sat in the middle of a herd of elephants, the list goes on! The ranger was amazing - had an incredible knowledge of the bush, the animals and South Africa generally. I would highly recommend a stay here - couldn't think of a better safari experience. Sabi Sabi Little Bush Camp? 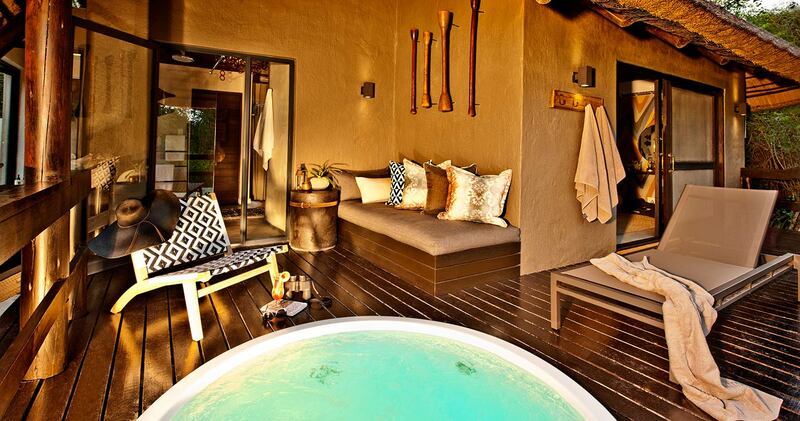 All suites at Sabi Sabi Little Bush Camp have a heated spa bath overlooking the riverbed. Please note: A single supplement only applies if 3 singles or more are booked. Tariff is the sharing rate plus a surcharge of 50% per person. Special offer: Also see our special fly in package on the left. 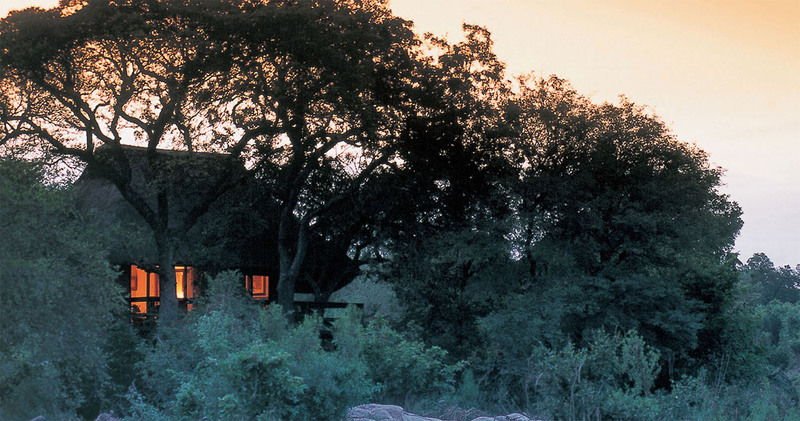 Read all about travelling to Sabi Sabi Little Bush Camp on our getting to Sabi Sands page. 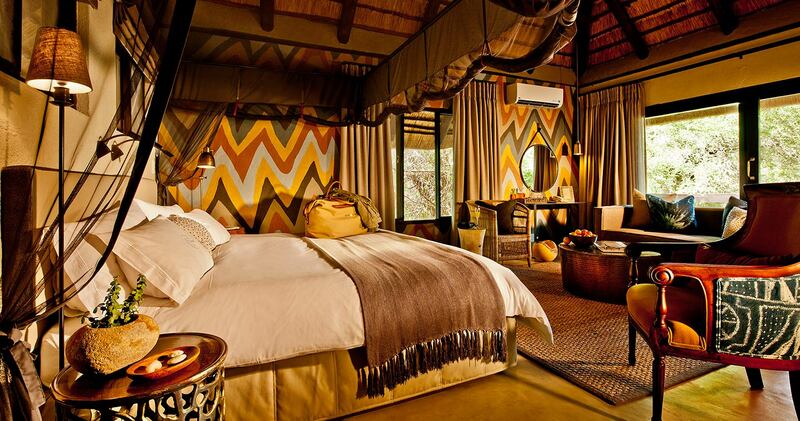 Children are only allowed when Sabi Sabi Little Bush Camp is booked exclusively by one party. 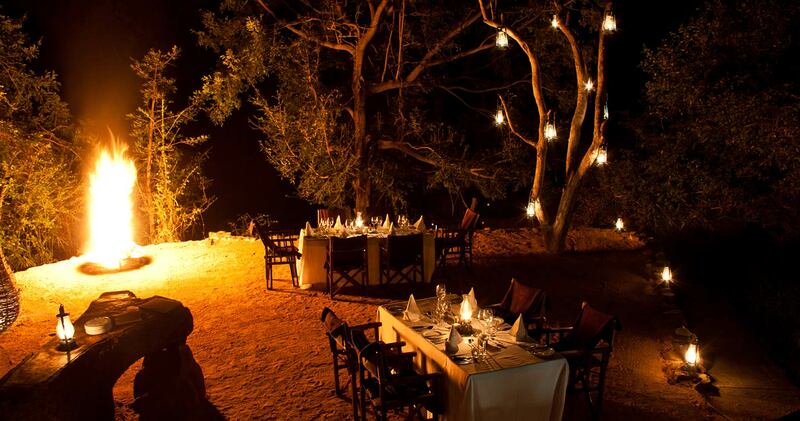 We hope you have found all information needed to decide that Sabi Sabi Little Bush Camp in the Sabi Sands Game Reserve is the perfect place for your next travel adventure. Please fill in the contact form and we will get back to you soon!